Import ANY Car into Cyprus. This Import System is designed for Cyprus Residents and visitors only. For UK Residents go directly to UK Import Scheme. Let us guess: You have seen prices of vehicles elsewhere in the UK and Cyprus, you have compared them to the prices of New and Used cars for sale in Cyprus and think either someone has got the decimal place in the wrong position or Cyprus Car Traders must be making a fortune! 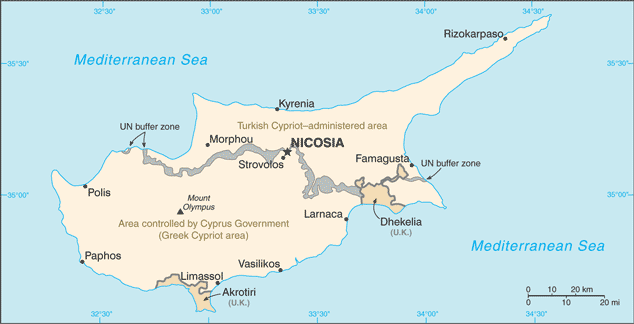 Cyprus is an Island and all vehicles are imported, freight and port fees cost money. Cyprus Import taxes and associated fees are expensive. Cyprus Car traders can be greedy. The Cyprus website is in English, Greek & Russian, we also have multi-lingual staff. Welcome to Algys Autos Ltd. We are a well established UK Company registered in Japan, Cyprus and the UK and have been importing and exporting cars for more than 20 years. We import quality used Japanese cars from Japan into the UK and are now able to offer you a complete hassle free package of your chosen European or Japanese vehicle from either the UK or Japan, delivered to you direct at prices no-one can equal! We are a British Company, British staffed and with British customer Values. We are considered by most to be the No1 Cyprus Car Importers and have been the UK No1 Car Importer for many years. What if You already own a car in the UK or want to purchase it yourself? We can arrange the entire system for you if you already own a car in the UK or elsewhere and want it collected, imported and registered in Cyprus for you. This means that if you own a car anywhere in the UK and need it collected and want it presented to you in Cyprus complete and registered, then we take care of it all for you; hassle free! This even includes you buying a car yourself from a dealership or private person within the UK, leave it to us! This is called Scheme 2 and is at a reduced fee… Click Here. We are the originators of this unique Import System and it has proven to be the very best value for money in the UK for many years. We have thousands of extremely happy customers (See testimonials here) and have the entire infrastructure in place, having garages in the UK, Japan and Cyprus. We are now in a position to extend this offer to Cyprus Residents searching for their next quality new or used cars or any type of vehicle. Your car will be imported and On the Road to YOUR specification at a price that cannot be equalled anywhere on the Island! So please browse our site to get a feel for us. Then email us with your contact details and a member of staff will be in touch to advise / discuss the procedure. 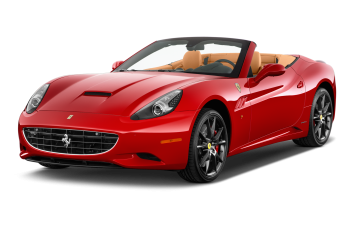 Please note you will NOT see the type of cars available on this site as this site is designed primarily for the UK Market. Nevertheless we supply ANY car you wish. We have Garages and Main agencies in the UK and Japan and have access to EVERY available vehicle whether it be at Auction, Dealership or Private. We have full access to all UK auctions, trade and private outlets. Upon your cars arrival here in Cyprus we have English, Russian and Cypriot Staff that will take control of the Port Clearances, Vat / Duties, Mot, SVA, Registration, etc etc. There is simply nothing for you to concern yourself about and the entire procedure is managed by our British staff resident in Limassol, Cyprus. So if you are considering purchasing a new car and simply know you can get vehicles cheaper than the prices seen on Cyprus forecourts then you would be foolish not to give us a call and ask how we can save you huge money on your next car! Decide which of the 2x schemes are for you and visit the Cyprus website via the weblinks above and we shall import any car you wish. Arrange Freight to Limassol, Cyprus. What if you already own or you purchase a car yourself from the UK? If you already own a car or are wanting to purchase your car yourself and require someone to take care of the UK collection of the car and deliver it to you registered in Cyprus without any hassle and headaches then please read the scheme 2 below and then email us with your contact details. A member of staff will be in touch with you to advise / discuss the procedure. This Scheme 2 is designed for the person who either has their own car on their UK home driveway and wants it outside their Cyprus Home fully registered or similarly if they wish to purchase their own car in the UK and wish us to ‘take over the reigns’ and arrange the UK collection and deliver to them Cyprus registered with No headaches or hassle. Upon your cars arrival here in Cyprus we have English, Russian and Cypriot Staff that can take control of the Port Clearances, Vat / Duties, Mot, SVA, Registration, etc etc. There is simply nothing for you to concern yourself about and the entire procedure is managed by our British staff resident in Limassol, Cyprus. So if you are considering importing and using your own car into Cyprus from the UK and know you can import a car cheaper than the prices seen for sale in Cyprus forecourts then you would be foolish not to give us a call and ask how we can save you huge money on car ownership in Cyprus! We charge a simple 1 off commission fee of 260 euro + Vat and nothing added to any of the 3rd party costs whatsoever! 1. Simply contact us with the details and location of your car. It can be anywhere within the UK. 3. The car is delivered to our garage in Bristol and into secure dry storage until vessel arrival, if required. Thank-you for visiting Algys Autos Imports Ltd.
Algys Autos will Import ANY Car into Cyprus. *We will post documents from UK to Cyprus for you free of charge via normal postage channels, if you require the docuements to go via courier such as Dhl etc (Strongly recommended) there is a 30 Euro fee. We send via Dhl by default, if you do not want this procedure please advise us in plenty of time.